He sighs softly as he stood there, he wore his black suite of armor and wrapped around his body his black elfish cloak as it seems to flutter against the wind gently, his long white hair flows down over his shoulders as he kept the cowl of his hood covered, hiding his features and who he is, only way you know its him by his stature his stance, and the color of his eyes which would be a blue color. He chose this spot away from the Empire for specific reasons. The air was peaceful and relaxing not a creature stirred even within the woods. He leaned against the tree as his eyes gazed about the place as if expecting someone, he didn’t really have much with him though he only brought his sword Izae’essa just in case someone decided to jump him. He stood there in silence as his arms crossed over his chest, his eyes averted towards the Empire as it was still clear in view for her was only in the outer reaches of the woods. He wondered why locke would ask him to come out here and away from the Empire he feared perhaps he would be betrayed or perhaps killed, his doubts were evident of course. He is taking a risk after all giving up ruler ship, he shifted slightly as he begin to make his way into the clear gathering up sticks and what not to start a fire where he may build a camp of some sorts, once he was finished he sat there and waited patiently…. Thasrissian had been there the whole time waiting for Cirdan to arrive while he basked in the sun on a large boulder which had conveniently been sitting there when the dragon had arrived at the chosen spot. Due to the coloration of the boulder compared to himself the gray dragon simply blended in with surface of the large rock making it nearly impossible to see him given the angle of the sun at the time. Until the dragon decided to reveal himself Cirdan would likely continue to wait around for him to show up, or until the sun had moved so that the glare wouldn't shroud his presence anymore. Of course Thasrissian wasn't going to keep Cirdan waiting for long especially given the doubts the elf had started getting. He contemplated waiting a few more minutes before speaking but decided against that and simply began speaking. "You can put your doubts to rest old friend. If anything you should know me well enough by now. Speaking of which I am surprised you didn't think to check the boulder over here. I'll have to remember its here, its perfect for lounging on while the sun is out." After speaking Thas raised his head up so that there would be a shadow cast over towards Cirdan for him to spot and be able to follow back to the dragon's chosen location. He rested against the tree upon the base of it, as he turned his eyes over to Locke letting out a soft sigh, his eyes averted away towards the Empire. In his heart he was troubled and it clearly showed upon his features, for the first time in his life he has wondered why everything has happened the way it did, it was as if the gods themselves were mocking his very existence upon his chaotic life. He thought back during the times when things went well for once in his life before he ruled and back during the days he was once a slave. Things were indeed much simpler back then he thought to himself silently knowing Locke was around, he has wondered what if for so many years of his life, so many regrets on his plate, things he wished he could take back and fix, others beyond repair he was not ignorant of the enemies he created upon his life and the friends he has made at the same time. ‘’ I have often sat here, this chosen spot overlooking the Empire with many thoughts, many regrets ‘’ he spoke softly and loud enough for the dragon to hear him, was not a pleading voice it was calm mellow. He curled up in a ball as he over looked his home, the empire stood tall and proud as it normally does when the sun rises and sets almost giving a ghost like appearance within the hours of twilight. ‘ The ones I have been with, I think about all of them and I wonder always what if things were different? ‘’ he looks up ‘’ What if things could go back the way they once were, I know it is a foolish dream and thought. If things were back to normal Siannodel being around still, the good times we all had upon the Kingdom, I know….’’ His voice seems to trail off as his eyes shift upon the empire ‘’ I have become over protective of her ‘’ he sighs softly as he gets up to lean against the tree ‘’ I pushed too far, I pushed so far I lost her, and I have no one to blame but myself… I am old Locke I know it doesn’t seem it I know upon appearance I have the look of youth upon my face, but my bones tell me differently ‘’ he turns to face Locke turning his back away from the Empire ‘’ How can I embrace the chaos within my life as it is now? What is it that you have to show me? ‘’ He turns looking at him in question his statement blunt and just placed out there and straight to the point. Oona rested and once again the pained feeling ran over her mind. Closing her eyes she listened once again, quietly observing from afar. Today was different however; today the one whom she hides from for a while now was closer. Oona leaped up into the sun kissed rays of light from her perch. Pine trees swayed back and forth not changing from where she had stopped to listen. Her hair blew past her face as she flew around feeling for him. The task easy enough as she found what she was looking for. Slowly gliding down from the tree line she landed in front of him. Looking to have more of a fall attire on. Light tanned leathers and swade soft binding covering in a classic rangers attire with a white bloused shirt showing a few sizes to big all draping over her curved body as she stood. Her wings well-tended and white as ever reflected the bit of light that found its way through the clouds onto her angelic stance. Simply looking down to him she offered a friendly smile then looked toward the dragon with a nod. “You are sad, I listen and have come.” She stood rather still for him to see. The sensation of what once was familiar to him showing with an odd tingle now that she was near. “Cirdan? Dose thou remember me?” She then turned giving to time to speak to the dragon, wanting to show respect. “mighty dragon, you found my rock, the sun is nice from there.” Oona bowed remembering what it was to be polite and civil. Thas turned towards the Averial that appeared having recognized the voice. As the gray dragon's head turned towards his eyes shifted to a silvery color while the world around him slowed to a crawl. Whatever it was the dragon did the Averial wasn't affected by it as was apparently intended. "He won't remember you. At least not yet. Given the things that happened and the disaster that was prevented he hasn't to my knowledge met you until this point. I am not sure how you remember him though perhaps your kind are immune to the shifting of timelines. For now perhaps it is best to wait until the memory is restored to him." After speaking time around the two returned to its original flow and the dragon simply nodded his head towards the winged elf as though greeting her. Oona watched him retreat into the woods and could only frown. Whispering a simple spell it set forth to fallow him a little ways, covering his tracks and pulling thorns, vines and brush away from him. “I was not ignoring…you” She felt the confusion but could know not on how to aid him. Feeling that he might have wanted to just flee She allowed him, knowing that she could find him at any time if he unconsciously sent any further feelings of dread. Going to her tippy toes she glanced to Locke, bowed again then walked right up to him, placing her hands on his face as if to pet him. “Do you itch here as well, my old friend use to complain about his muzzle being the most difficult to scratch.” She smiled trailing her fingers down his nose then looked up to him after a few quiet moments. “What happened to him?” Oona tone went a bit lower as she dazed off looking to each scale as she made herself handy. A feeling of sorrow washed over her for a slight moment and then, as it happened all at once she looked up. Shaking her wings she fought off the sadness she felt both for herself and him then faked a smile to appease the mighty dragon. Thasrissian watched Cirdan leave with an understanding of how he felt. The sudden appearance of the winged elf likely disturbing him on some level. Which of course Thas knew the reasons for. Watching Cirdan leave did however distract him from what Oona was up to, if only briefly. Eventually the ancient dragon lifted himself up to his full height and tilted his head down towards the winged elf woman answering her question about Cirdan. "It wasn't so much what happened to him. It is what nearly happened to this realm of existence. Cirdan gave up part of his past to save this realm. I suspect something prevented you from being completely affected by the shift in time lines which is why you know who he is. Where you remember him is a different time line which no longer continues to flow. Like a stream that has been cut off. This shift occurred when the rift which had tore open in the previous time line was sealed." Thasrissian said with a bit of a sigh, only pausing for a moment to let his words settle in before continuing. "The reason he doesn't remember you, is that he didn't meet you until now in this time line. Anything that had happened between you both in the previous time line hasn't carried over to him. Why you know everything and remember it though is an anomaly to me. Not something I fully understand as I've not studied your kind and how they are affected by the ebb and flow of time. For now perhaps it is best to let him have his distance while I try to guide him. When it is time I believe he may seek you out and things will be as they were again. If he chooses such. As powerful as I am I can not and would not force him to do something against his will." The gray dragon lifted his head back up to look towards Cirdan had left to after he finished speaking, hoping his words had made sense of the situation. Oona nodded understanding everything better. "Oh, so thats why..." She looked toward the direction as well even thou the sight of Cirdan had already gone. "I was merely trying to help, I forget how my help usualy only distrubs people, I shall be out of your presence now Locke and go back to watching. I remember this time line and all time lines because its why I was created, To test humans and the like which has only made me a rather isolated and lonly creature. I could not bare the outcome of consiously doing such a task.She took a deep breath feeling the conversation has turned toward her, feeling it would best go toward Cirdan would be the better. "My father is Morre, my mother weaver of the web and I see most things, now you know." She turned to one side, suggesting she ment to leave. "I'm glad you like my rock, now you know where I usually rest." She paused, actually happy to be talking to anyone at all and wanted the conversation to go on. "Thank you for listening to me and sorry if I had intruded on something, I ment no wrong." Oona wings fluttered out feeling the change in wind. She smiled once more but only looked to her feet. Thasrissian listened to the winged elf wishing there was something more he could do to set things back to how they once were. A task which concerning Cirdan could only be done by Cirdan himself when properly trained in how. Of course that left those whom he might have cared about wondering what to do with their lives if they had any knowledge of what happened in the previous time line. "One is never alone when the sky and the earth below them both sing the songs of old and certainly not when the ocean sings a gentle lullaby to bring peace to those who listen." Thasrissian said stretching his wings out. "I've wandered many lands and through many of the different planes and realms which are all connected to this one. Yet though I've had no companion with me, I have never truly been alone." With that said the gray dragon lifted into the air and hovered over the ground to speak his parting message. "The ebb and flow of time can be a fickle thing yet it heeds my call. I might not be able to change what happened to him but perhaps I can give him the means to find what he lost and the means to be happy. I can make no guarantees of the outcome but for his and maybe your benefit if all things work out, I will try." 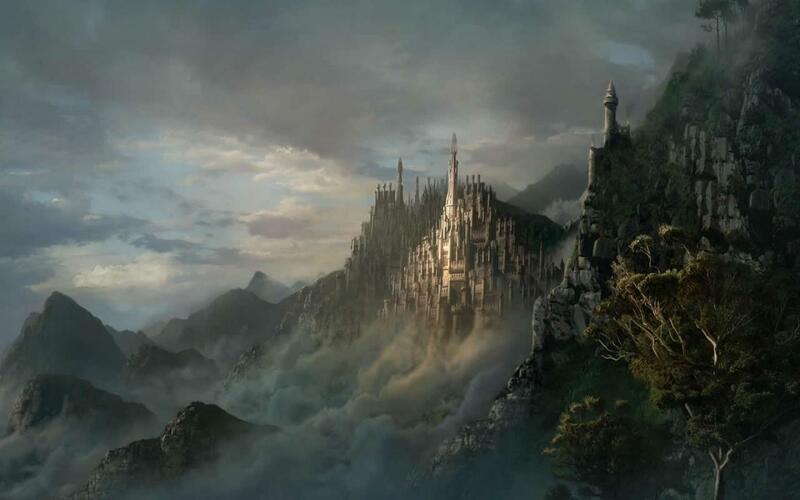 It was with those final words that Thasrissian darted further into the air and quickly disappeared very likely heading to where Cirdan had gone.